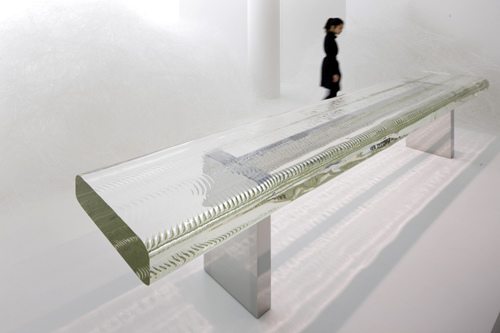 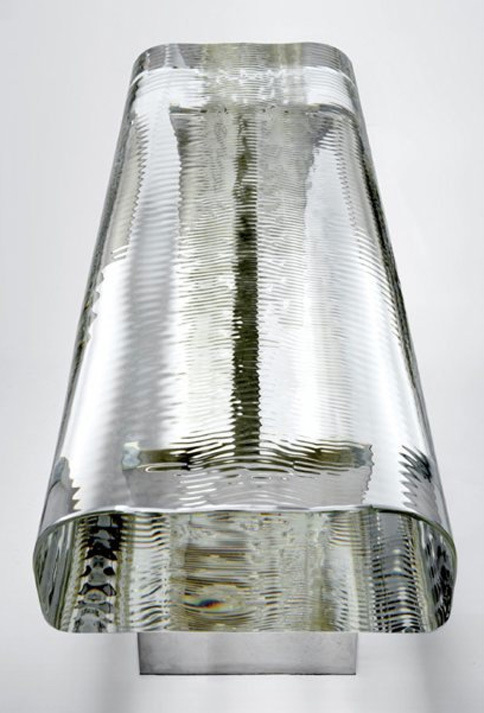 Works of industrial designer Tokujin Yoshioka are quintessentially modern and sculpturistic in nature and the the “Waterfall” Table is no different. 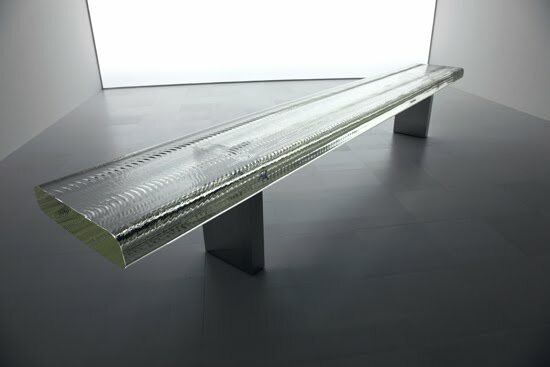 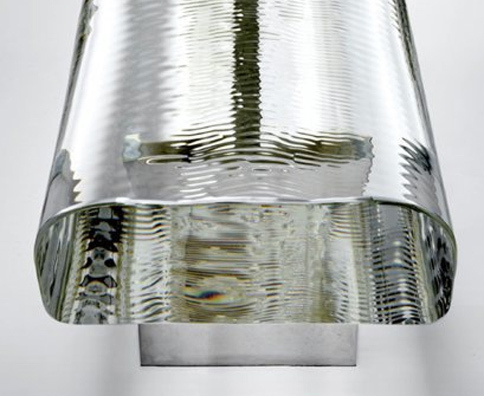 Having the distinction of being the world’s largest optical glass table, “Waterfall” once again solidifies Yoshioka position as one the most critically acclaimed Asian designers. 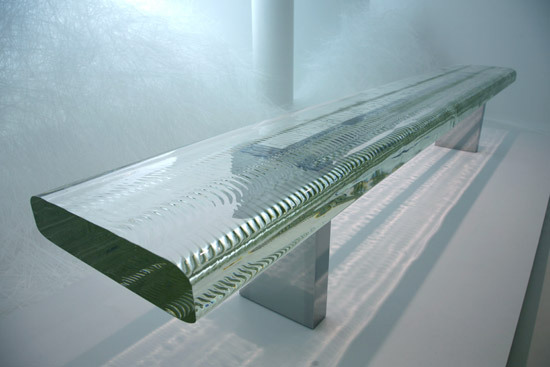 Commissioned by a private gallery in Tokyo, “Waterfall” measures a whopping 4.5 meters and will be seen at the ‘Spectrum’ exhibition at Beyondmuseum in Seoul, Korea.